Binoculars are optical devices that are used to help our eyes see objects which are very far. This helps the object to appear clearer. Another name of binoculars is telescope. 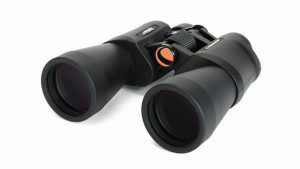 Based on the principle of its work, there are 4 types of binoculars which are binoculars bias, reflective binoculars, hybrid binoculars (combined bias and reflection) and space binoculars. Bias binocular consists of several lenses and one of the lenses works to refract light. It was first discovered by Hans Lippershey in 1608, but the first person to use in the field of astronomy is Galileo Galilei. 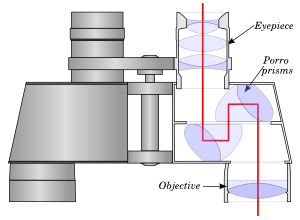 Then, in 1611, Keppler improved the design of binoculars using two convex lenses. The convex (convex) lens is the objective and the ocular lens. The first type of binoculars are star binoculars or telescope. These binoculars are used for astronomical purposes such as observing extraterrestrial objects. 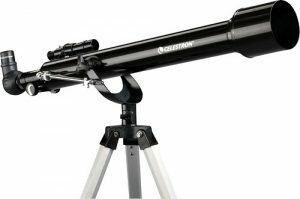 Therefore, it is also called the astronomical telescope. The largest example of binoculars in the world is binoculars located at the Yerkes Observatory in Winconsin, USA. 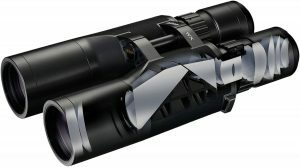 These binoculars have an objective lens that is 1-meter-wide so that light can be captured by these binoculars. On the shadow, these binoculars are generated upside down. There is no problem for object in the sky but, it is problematic if we use to see objects on earth, because the resulting shadow must be upright against the original object. Therefore, on these binoculars, we add the inverting lens as a third convex lens which inserted between the objective and the ocular. Earth binoculars are used for terrestrial observations of earth conditions and objects on earth that are located far from the eye. Because it has a long shape, it is not easy to bring it anywhere. So then, people created periscopes and stage binoculars that are shorter in shape but the principle is still the same. 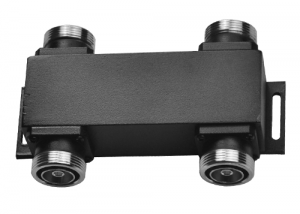 The inverting lens on the earth binoculars makes its shape becomes relatively long. This lens can be replaced with a prism to shorten its shape. These binoculars use the same pair of isosceles prisms which are inserted between the objective and the ocular lens. This pair of prisms will form a shadow with perfect reflection. 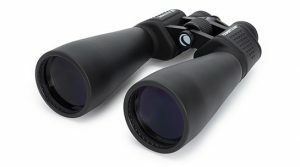 Currently binoculars are often used by birdwatchers for bird-watching activities. In addition to using a prism, another way to shorten the Earth’s binoculars is the reversal of the shadow with a concave lens as an ocular. This arrangement was conceived by Galileo Galilei, later called Galilei binoculars or stage binoculars. The binoculars were developed by Sir Issac Newton in 1680 by utilizing a reflection system on one or a combination of concave mirrors instead of lenses that reflect light and shadow to a focus. 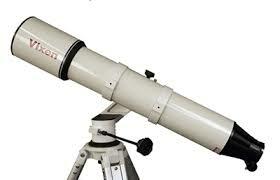 Its function is able to reflect light and the shadow then this binocular is also known as reflector telescope. Also known as the Newtonia binoculars. Objects with small light intensity may look better with reflector binoculars than refractors. 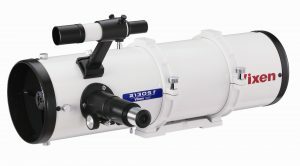 Therefore, this telescope is often used by astronomers to observe deep sky objects such as nebula, galaxy, open cluster, comet and other objects that have a small light intensity. In addition, there are other reflective binoculars that have the same function which are the Cassegrain binoculars and Gregorian binoculars. Originally, these binoculars are known by the catechoptrics telescope. Then why did the author write the hybrid binoculars? Because the working principle of these binoculars is a combination of binoculars and reflection reflector which are refractor and reflector. There is a device that the lens uses on one side and the mirror on the other. Through a hole in the main mirror, a secondary mirror reflects light into the lens near the eye. This is one of the types of binoculars and functions. This space telescope was initiated in 1962, the making was started in 1977 and completed in 1985. These new binoculars was made only one and named Hubble Space Telescope that was established on April 25, 1990. The Hubble name was taken from the inventor of Hubble’s Law from America, Edwin Hubble. This hubble telescope is very helpful to scientists in observing and learning about the object of outer space and the universe by placing the telescope at about 600 km above sea level. Hubble is rotating against the earth like a moon with a speed of 8 km per second. The time it takes is about 97 minutes so in a day, it can rotate 16 times. The binoculars consists of two concave mirrors and is equipped with antenna, computer, camera and spectrograph. There is an electronic detector in the form of a camera capable of collecting the starlight captured by a mirror. The captured image is converted to digital code and radiated to earth with an antenna with the ability to send data 1 million bits per second. The code is converted into photographs and spectrographs that spell out into a rainbow spectrum like the principle of prism work. With the help of binoculars, this system can help scientists to observe events in space. Events ever caught by these binoculars is the incidence of supernovae, the planet to 10 (xena) and the satellite Gabrielle even temperature and age of celestial bodies can be known along with the chemical elements in it. Those are the discussion of various types of binoculars and functions. It is interesting to learn the development of binoculars from simple until advanced which can observe the object of outer space. And you as the young generations, still have a lot of time to develop these things. May this be useful for you.